Performance management shouldn’t be a repetitive ritual about ticking boxes. It should be a meaningful exercise that motivates your people to hit their targets and out-perform competitors. Good performance management is about more than just helping people work harder. It’s about helping teams work together towards goals that really matter to your organisation. When your people are all driven by the same core values, they are more likely to innovate solutions to business problems. They are also less likely to clash while working towards personal targets. Traditional employee-manager appraisals do not always produce reliable performance data. 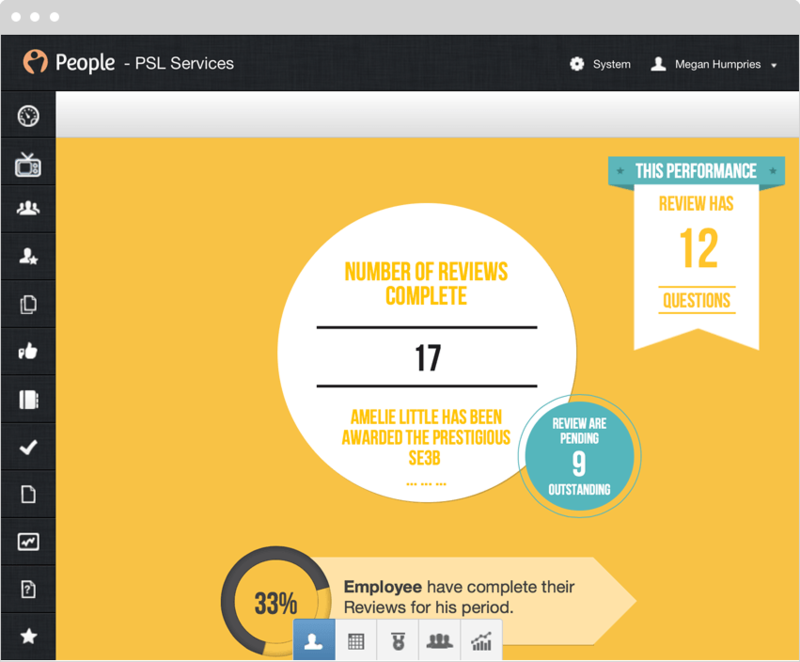 Ask your employees to assess their peers – this helps you generate accurate 360 degree feedback. 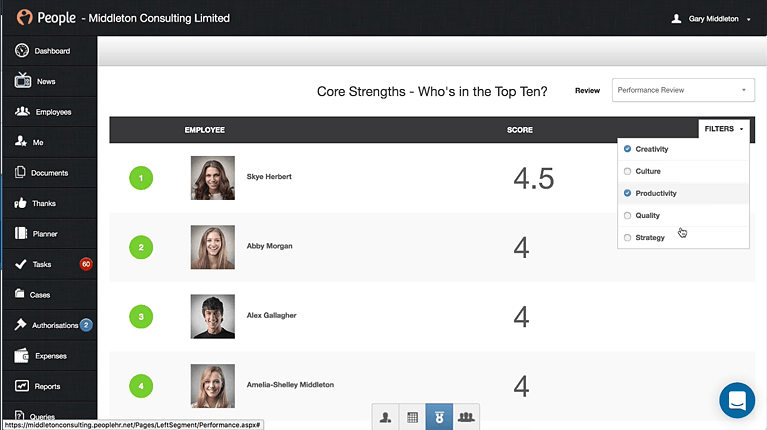 By comparing scores, you can discover your top performers, and see who might need a little extra support. This will help you spend training and development resources where it matters most. Motivate your employees to meet their targets and develop their skills. Track your results, and keep getting better. "We realised the potential for growth within our company and decided we needed a more effective approach for managing staff admin"
"Our innovations team is continuously coming up with new and creative ways in which to drive our company forward, with their forward thinking and imaginative ideas." 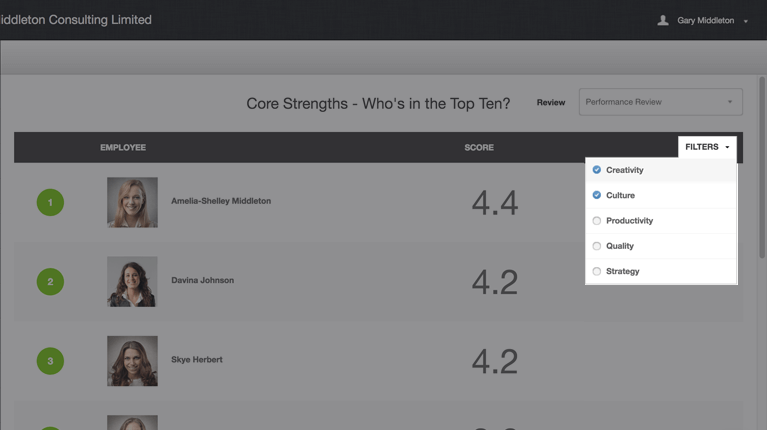 Create custom groups, and build a unique performance review for each. You can use traditional segments like team, location or department, or you can create your own from scratch. 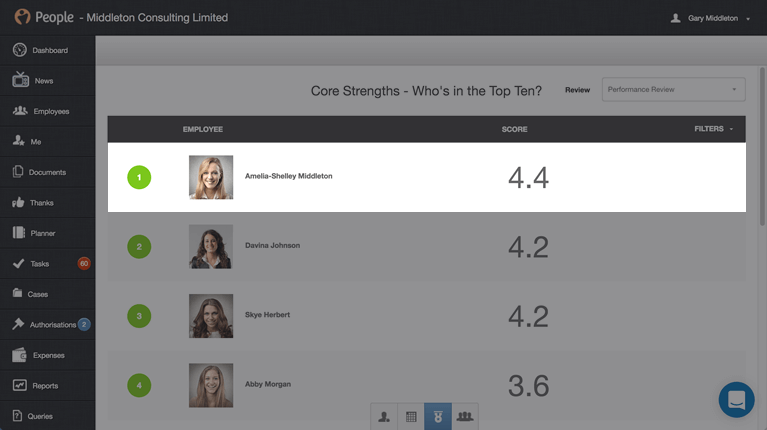 Score employees in up to three different areas – overall performance, core values, and job-specific skills and competencies. Create your own labels for each type of rating. Save your performance reviews as templates, to avoid starting from scratch in future. 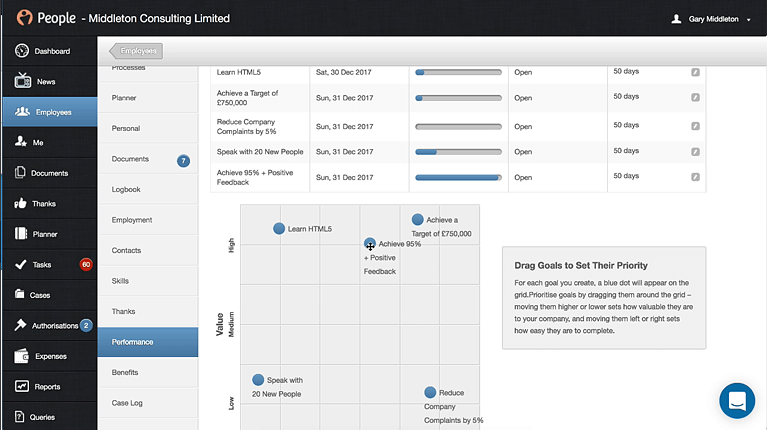 Build up a library of customisable, easy-to-access performance review templates. Set your performance reviews to launch like clockwork, according to your preferred timetable. 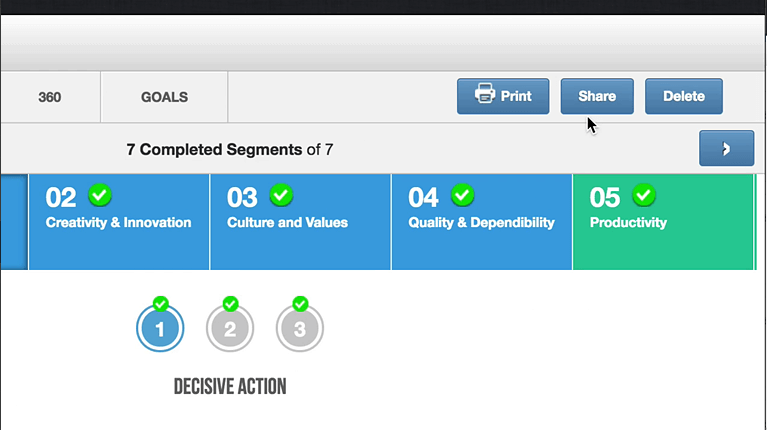 Review performance annually, quarterly, monthly, or create your own custom schedule. Design questions that rate employee performance within each segment – overall, core, and job-specific. Add 360 degree questions to include anonymous feedback from colleagues. For each question, you can request number-based ratings, text-based answers, or a mixture of both. This helps you collect a good balance of qualitative and quantitative performance data. Add clarifications, prompts, examples and other help text. This helps managers and employees understand what you’re asking, while letting you keep questions concise. 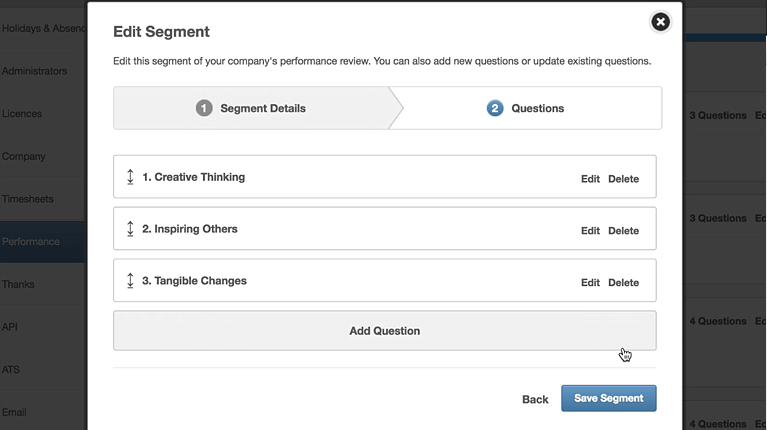 You can align each question with a core business value. 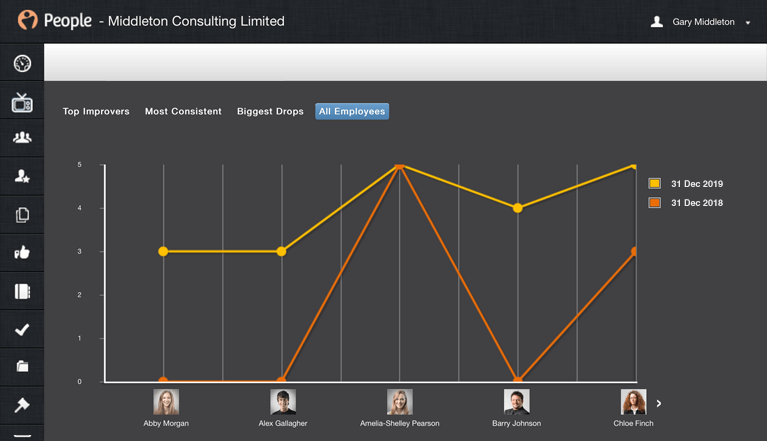 This helps you identify how and where employees are most contributing to the overall success of your organisation. Set your performance reviews to launch how you want, when you want. You can automate your launch to occur every year, quarter, month, or create your own schedule entirely. 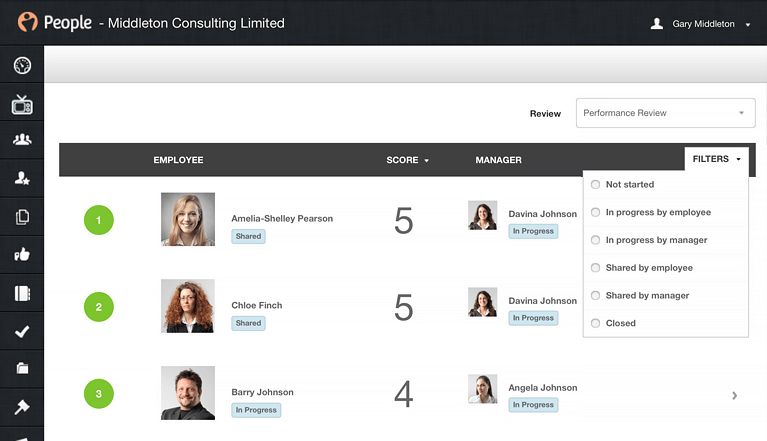 Your software will automatically inform employees and managers when their performance review is due, and will remind them to answer questions and complete assessments. 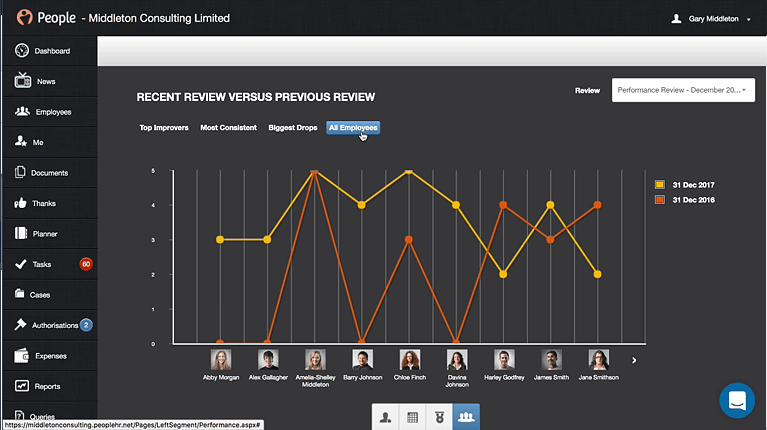 Check in on the status of your performance reviews any time you like. Your dashboard gives you a beautiful breakdown of what’s happening in real-time, and lets you see if something needs chasing. 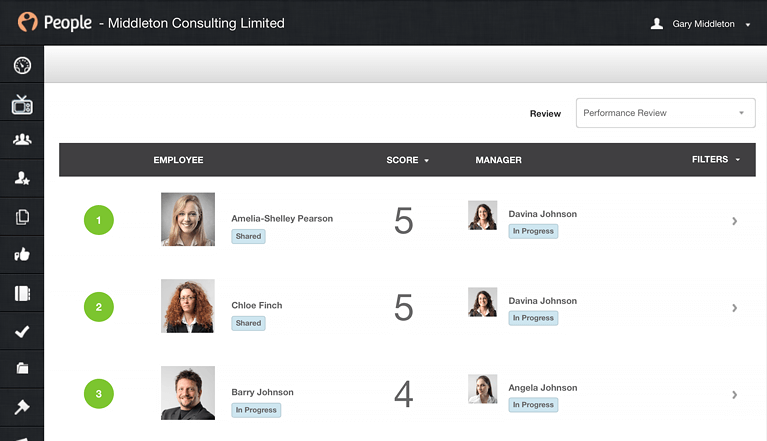 Employees are asked to answer their own questions, and share their personal assessments with their managers for easy and instant collaboration. Managers can ask other employees to provide feedback about their colleagues. These responses remain anonymous, and help to build a more accurate picture of performance. Managers can review employee answers, check 360 degree feedback, add their own answers, and share final results with the employee for final discussion. Once managers and employees are happy with their performance review, it can be signed off and locked. Results will be stored for analysis by administrator, and to support further development. Employees and managers can set up new goals and objectives based on the results of their performance review. This supports continuous improvements. Decide which goals are most important, by building a priority matrix. This ensures key areas for improvement get the attention they need, without having to cut the “nice to haves”. Check the progress of goals and objectives any time you like. This helps you make sure employees are working towards their goals, and helps you provide the support they need throughout. Identify star performers to decide who to reward, and find the people who might need a little extra help. Ratings are stacked against each other in league tables and performance charts. 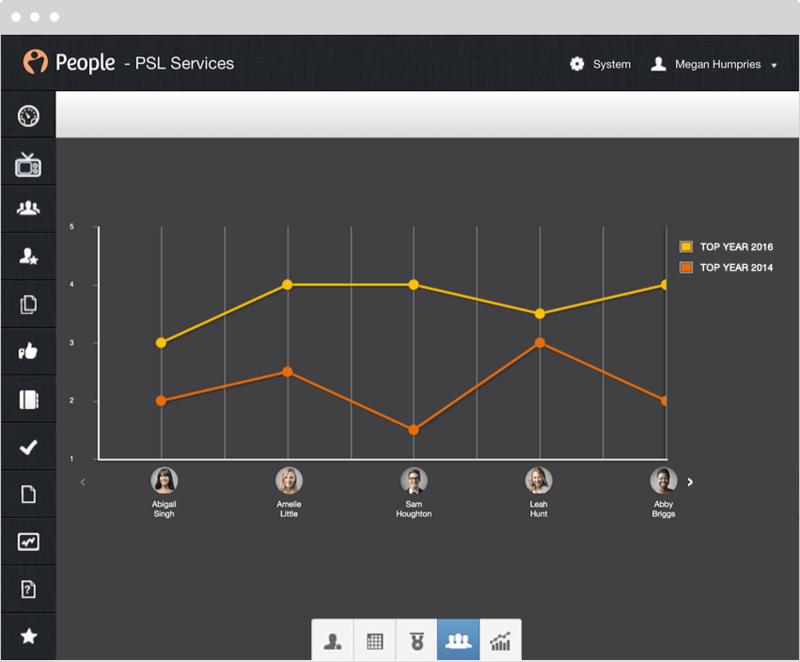 Build your own graphs, charts and reports, using the Query Builder tool. 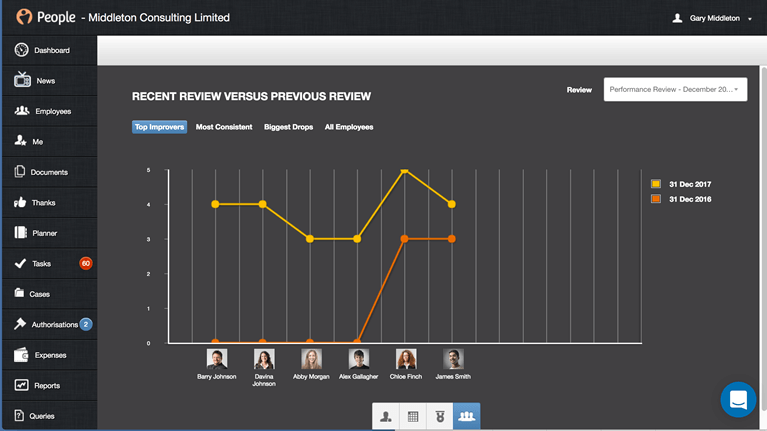 Export these reports to share performance progress with other people in your organisation. 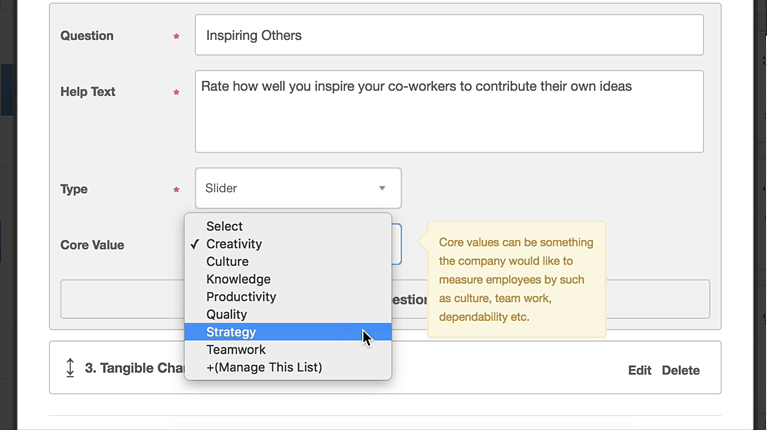 Analyse performance against your company’s core values, to discover the talent making the biggest organisational impact, and to fill gaps quickly.